Nippon Paint China’s project ‘Color, Way of Love’ – a Corporate Social Responsibility initiative – has been launched all across South-East Asia. 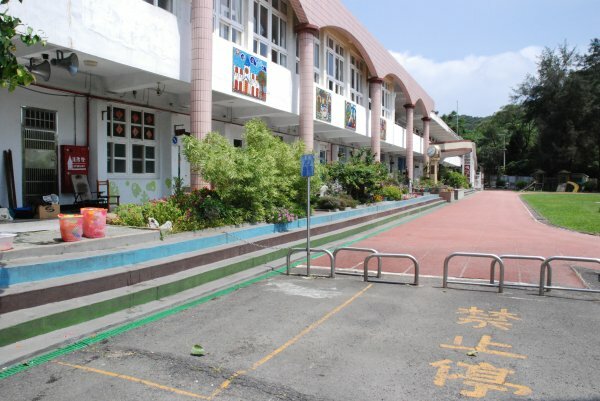 As part of the project, French mural artist, Seth Malland, was asked to paint huge murals in three Taiwanese primary schools, in a bid to improve the school environment. His murals focus on local customs and promote Taiwanese aboriginal and marine culture. Nipsea group announced in August  that it would continue to expand its Corporate Social Responsibility (CSR) initiatives, and bring "Color, Joy and Love" to more than 300 cities in Asia over the next five years. The leading maker of paints and coatings is investing $15 million in the projects, working with business partners, local communities and more than 20,000 employees to create a better and more colorful society. Nippon Paint China, a member of Nipsea Group, launched its "Color, way of love" program in 2009, in a bid to bring love, joy and color to children by improving their school and study environment. This year, Nipsea Group launched the "Color, way of love@Asia" project all over Asia, including China, Taiwan, Malaysia, Singapore, and Vietnam. The Group recently invited Julien Seth Malland, a French mural artist, to paint huge wall murals in three primary schools in Taiwan, namely, Jinping Primary School in Hsinchu, WangAn Primary School in Taitung, Rueimei Primary School in Hualien. Themed on Taiwan's aboriginal and marine culture, these wall paintings showcase the lovely image of children and the charm of color. The Group determined the local needs through activities at the volunteer art summer camp by Rueimei Elementary School and decided to inspire children's imagination by "Color, way of love" program. Malland has been painting all around the world since 2003. With the theme of children as its core, most of his works were blended with Taiwan's local culture, which overlap Nippon's concept of "Color, way of love". Malland presented distinctive local customs and culture of Taiwan's Hsinchu, Taitung and Hualien in his paintings since he was deeply impressed by the different cultures and landscapes in those regions despite their close proximity to one another. For instance, Malland has been inspired by the rainbow bridge in the mythology of Atayal tribe, a local tribe of Taiwan's aborigines. He painted a piece, featuring children in modern and traditional clothes holding rainbow bridge together, which stood for the coexistence and exchange and interaction of modern and traditional cultures. "We have been working closely with our communities on CSR projects. CSR is an integral part of the mindset of all our employees and business leaders, even when we pursue market growth." said Wee Siew Kim, CEO of Nipsea Group. "Nipsea Group takes Corporate Social Responsibility (CSR) as one of its business strategies and respects different cultures in various markets," said Ariel Wu, Nipsea Group CSR, PR and Brand Communication Director. She underlined that the Nipsea Group adopted the "1 pull 1" management strategy by working with different enterprises, partners and artists to combine their strength and experience, with an aim to transform "Color, way of love" program into an sustainable public welfare platform. Ariel also said that the program started off and was implemented successfully in China, and Nipsea Group hopes to spread it all across Asia. The Group has, therefore, launched the "Color, way of love @ Asia" project to bring more love, joy and color to the children of Asia and help enlighten their creativity with color and art.